Marketplaces and prices shown matched UPC number 022808784777 during our search. Merrick Lamb Lung Fillet Dog Treats are all-natural, high protein treats that help provide the energy your dog needs. 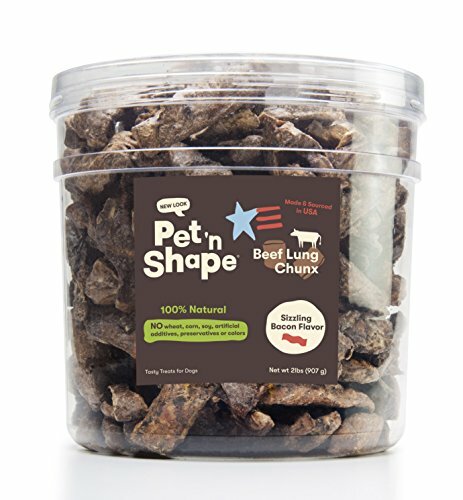 Dogs of all ages and sizes enjoy this treat due to its softer consistency and texture. These treats can be broken into multiple treats for training and rewarding. 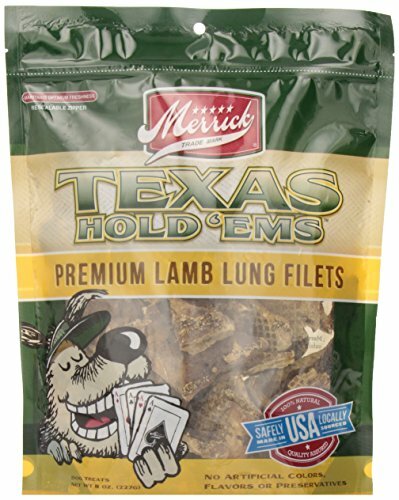 Merrick's Lamb Texas Hold Em's make a delcious snack for your dog. Texas Hold Em's are made from all natural lamb lung and contain the protein your dog needs to stay healthy. 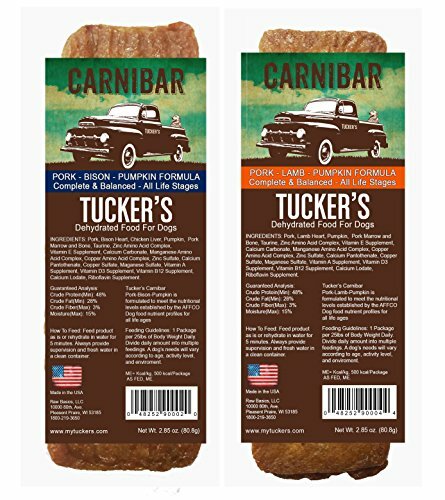 Merrick's Lamb Texas Hold Em's are a great source of energy for dogs and are made with tender beef that allows the treats to be chewed easily so that dogs of all ages easily enjoy them. Merrick is a family owned company that operates in the United States and Merrick's Lamb Texas Hold Em's are made with ingredients from the USA. Texas Hold Em's come in a re-sealable bag to keep your treats fresh. 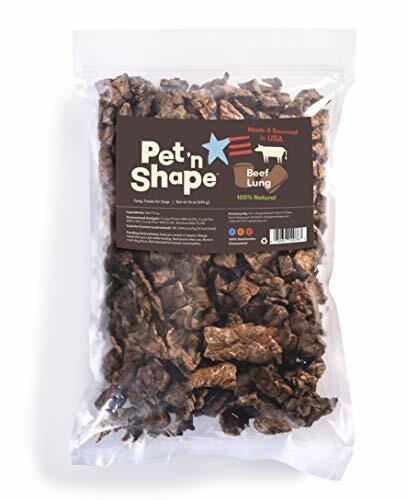 Give your dog a taste and watch him go nuts fo the taste of all natural lamb! Key benefits All Natural No artificial coloring or flavoring Made with ingredients from USA and made in USA Comes in 8 oz re-sealable bag!